The West Highland Way (Scottish Gaelic: Slighe na Gàidhealtachd an Iar) stretches 96 miles (154 Km) from Milngavie to Fort William passing through some of Scotland’s most inspiring landscapes. The WHW was Scotland’s first long distance route opened in 1980, and it is still its most popular. It is one of Scotland's Great Trails, a network of trails ranging in length from 24-210 miles (40-340 km), many are suitable for short breaks as well as end-to-end expeditions. Two more of Scotland's Great Trails pass through the Stirling Council area, The John Muir Way and The Rob Roy Way. The 154km (96 miles) route starts north of Glasgow at Milngavie (pronounced Mullguy). It passes through Mugdock Country Park and the Loch Lomond and the Trossachs National Park following the shores of its largest loch, Loch Lomond. Heading north through increasingly rugged scenery, it crosses the vast wilderness of Rannoch Moor, passes Glen Coe, climbs the Devil’s Staircase and descends to Kinlochleven before entering Lairigmor and Glen Nevis and finishes in Fort William at the foot of the UK’s highest mountain, Ben Nevis. Loch Lomond and The Trossachs National Park Authority. The trail was approved for development in 1974 and was completed and opened on 6 October 1980 by Lord Mansfield so becoming the first officially designated long distance footpath in Scotland. 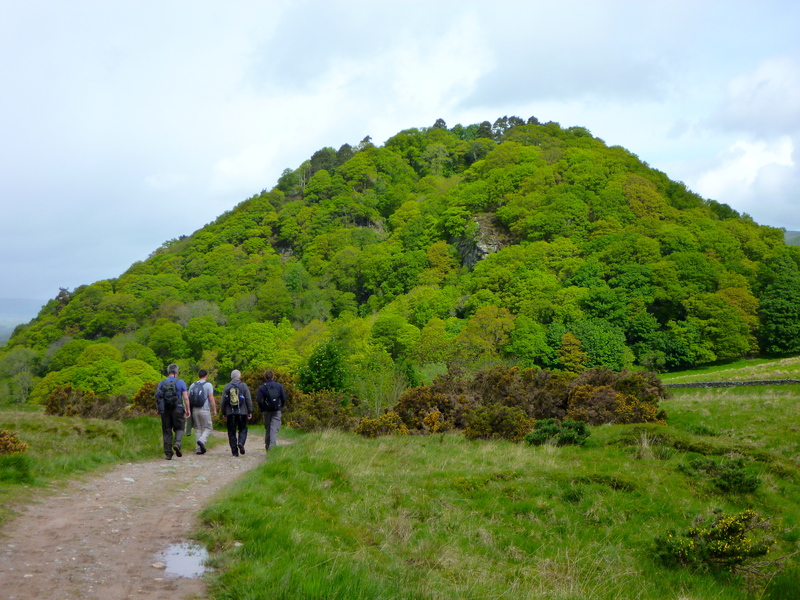 For more information about the route, please visit the official West Highland Way website.